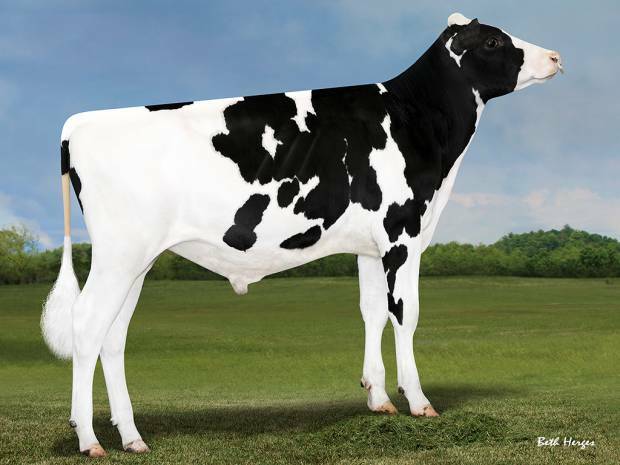 AI Services are pleased to introduce a new Holstein Sire, Peak Alta Explosion, to their range of Dairy Bulls. Peak Alta Explosion is a solid production sire with exceptional components. Explosion has great management traits with fantastic Daughter Fertility. Type traits are also very good. Explosion will breed average stature daughters with excellent body traits and impressive udder attachment. Explosion's pedigree is AltaRobson x Montross x Robust. A leaflet on Explosion can be downloaded from the link below, and full details are available on Explosion's page on this website. To order straws of Explosion, please speak to your local breeding advisor.